The Theodore Roosevelt Preserve was dedicated at 3pm on December 5th, 1922, by Governor Harry L. Davis. It began with 20,000 acres as a "game and reforestation preserve." At the time of its dedication, the preserve had about 2,000 ring-necked pheasants and several hundred wild turkeys, with plans to add "deer, bear, partridges, and dozens of other kinds of wild game." Of the original 20,000 acres, 15,000 was purchased through funds contributed via hunting license fees. An additional 5,000 acres was purchased by the state agricultural extension division, "specifically for reforestation, however the entire tract" according to Governor Davis was "to be used jointly for both purposes." The state paid on average $5 per acre. Davis told the gathered crowd, "Ohio's completion of this work for the re-establishment of wild life and for protection and replenishment of natural resources is being watched throughout the country, as ours is of the first and certainly one of the largest state enterprises of this kind in America. The state plans a gradual extension of the scope of these activities until every acre of land in the state that is now lying waste will be contributing to our food supply and to the production of timber. From every standpoint this utilization of land … is an investment which will bring its returns a thousand fold to us and succeeding generations." In 1934, 400 acres of the Roosevelt Preserve were set aside for the creation of a state park, originally known as the Roosevelt State Park. In time the name would be changed to Portsmouth State Park, before finally taking the name Shawnee State Park in the early 1970s. 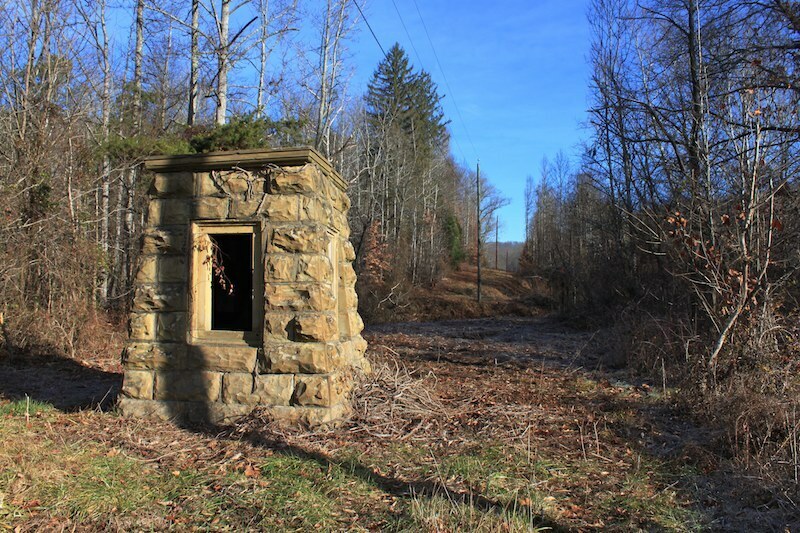 This memorial was originally located near the Preserve Headquarters at the intersection of Forest Road 1 and State Route 125. 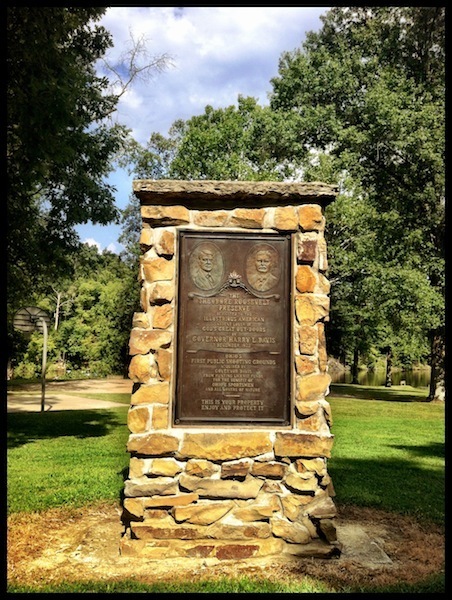 In the 1930s, the Civilian Conservation Corps built a stone memorial to house this bronze plaque. It was then moved to its current location on the shores of Roosevelt Lake, near the Shawnee State Park Campgrounds. Theodore Roosevelt Preserve Dedication Memorial, Shawnee State Park, Scioto County, Ohio (2012). : Image courtesy of Andrew Lee Feight, Ph.D., from the Scioto Historical Series, private collection, Friendship, Ohio. Theodore Roosevelt Preserve Dedication Memorial, Scioto County, Ohio. 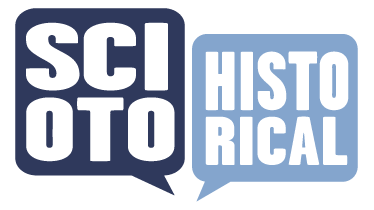 : Image Credit: Scioto Historical Collection, Digital History Lab, Clark Memorial Library, Shawnee State University, Portsmouth, Ohio. Gov. 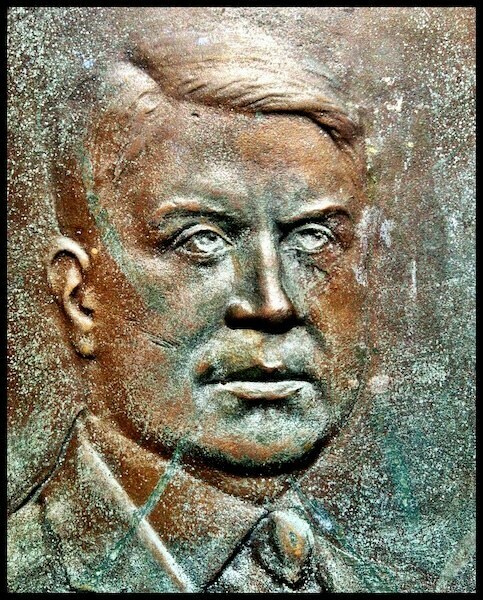 Harry Davis, detail from the Theodore Roosevelt Preserve Dedication Memorial, Shawnee State Park, Scioto County, Ohio (2012). : Image courtesy of Andrew Lee Feight, Ph.D., from the Scioto Historical Series, private collection, Friendship, Ohio. 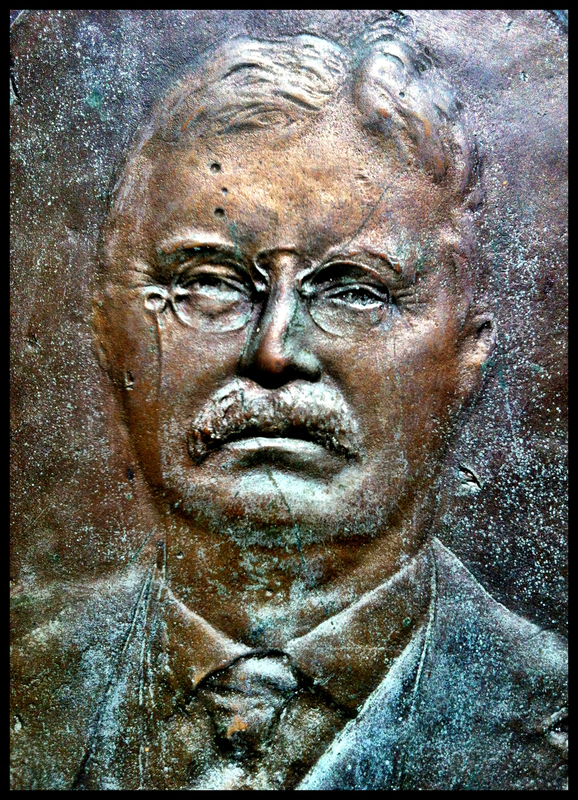 Theodore Roosevelt, detail from the Theodore Roosevelt Preserve Dedication Memorial, Shawnee State Park, Scioto County, Ohio (2012). : Image courtesy of Andrew Lee Feight, Ph.D., from the Scioto Historical Series, private collection, Friendship, Ohio. 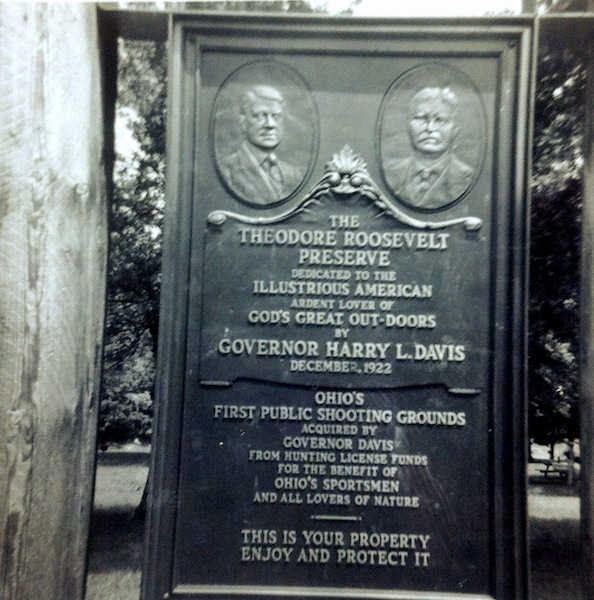 Andrew Feight, Ph.D., “Harry L. Davis & the Dedication of Ohio’s Theodore Roosevelt Preserve,” Scioto Historical, accessed April 24, 2019, https://sciotohistorical.org/items/show/4.